Think you'll never be able to pronounce this winery name? It's actually easier than it seems. "Gun - lock - Bun - shoe" has just stolen my heart. 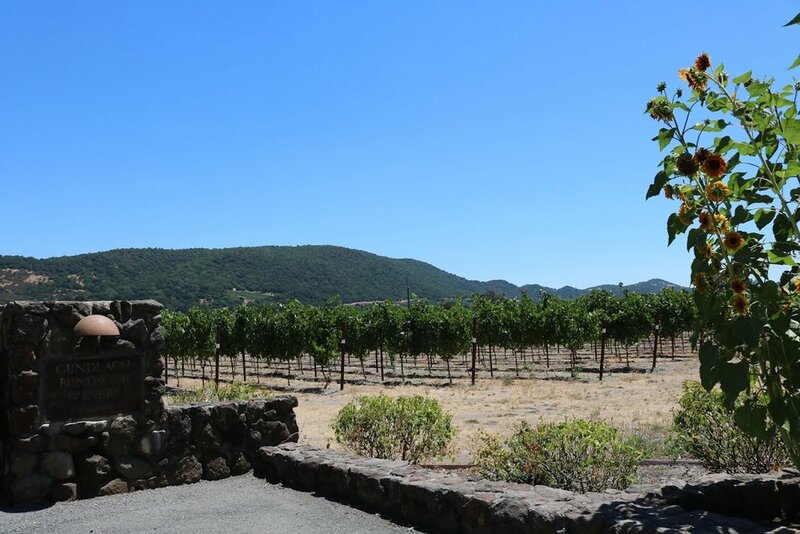 The beautiful drive to the winery through their vineyards is just a small taste of the gorgeous sights that will accompany the delicious selection of reds and whites you'll try from the historic winery's tasting menu. Some tasting rooms can seem a bit cold, but Gun Bun (as the cool kids call it) showcases their history, the families behind the name and their side hustle of on-site concerts and producing a festival (of course coming with an equally hard-to-pronounce name: Huichica). For Carly & I, that was a huge plus considering our affinity for music. 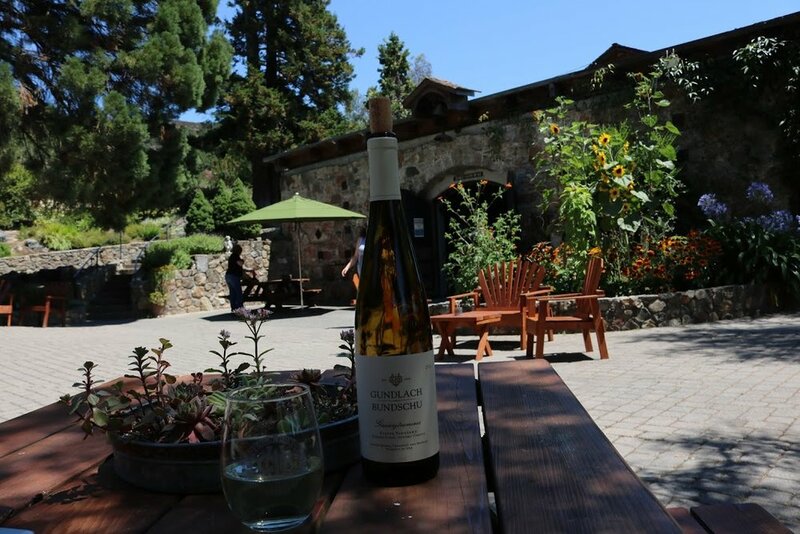 This is the oldest, family-owned winery and while you can absolutely feel the history behind the place, the winery has so much to offer a modern-day wine country fanatic. There's an opportunity to sit on an outdoor patio by the water, you can take a hike or you are able to buy a bottle from the tasting room and sit at a picnic table. We opted for a bottle of the light, not-as-sweet-as-expected Gewürztraminer and a cheese plate at the picnic table. This winery is also unique because it's kid-friendly AND dog-friendly so every member of the family can enjoy this beautiful spot. The icing on the cake was our pourer, Dina, who was a delight to talk to and gave us an extra sip of a delicious Mountain Cuvee red blend that she happened to have open. I'd highly recommend asking about their history when you visit - specifically when you're in the tasting room so you can see the photographs of how this unique family owned winery came to fruition! Hot Tips: You can bring your bike here. Reservations recommended. You can book private experiences for groups of nine or more. They have an army vehicle that they can lead excursions on off the beaten path.